Ken Grody Ford is here for you as your Southern California Ford Dealer In Buena Park. Take a look at our inventory and our low prices and you'll know that we have your interest at heart. Located in Orange County about 12 miles northwest of Santa Ana is the city of Buena Park. Around 83,000 people proudly call Buena Park home, and it’s no secret it’s a great place to live. Between an amazing nightlife, a beautiful climate year-round, a stable economy, you’ll never want to leave Buena Park. With arguably the best weather in the country, Buena Park offers the adventures you want. 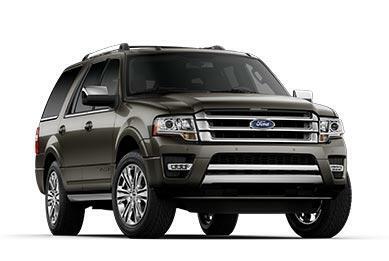 All you need is a Ford car, truck, or SUV from Ken Grody Ford to unlock all the treasures in SoCal. Knott’s Berry Farm is an amusement park you absolutely must visit. Operating for nearly 100 years on 160 acres in Buena Park, they’ve perfected the theme park experience, old-school rides, and even their fried chicken. It’s on the corner of La Palma and Beach Blvd. You can also check out Sunset Beach, just a short drive south of Buena Park on the Pacific Coast. Located in a major economic center, Buena Park is a great city to work. Prologis, Leach, and PepsiCo have hubs in the area, but by far the largest employer is Knott’s Berry Farm. And although large businesses are headquartered in Buena Park, the city is full of small businesses and restaurants that offer secure careers and a healthy work-life balance. When the sun goes down, Buena Park gets lively. Discover some of the best pub grub at local hotspots like White Rooster Pub, Rock & Brews, or dinner and a show at Pirate’s Dinner Adventure. Try your hand at card games and slots at The Gardens Casino, or visit nearby Laguna Beach for its famous art galleries. Whatever you do and wherever you go in Buena Park, do it in a Ford vehicle from Ken Grody Ford. As your local Southern California Ford dealer in Buena Park, you’ll find a fantastic selection of new and used Fords to compliment your lifestyle.